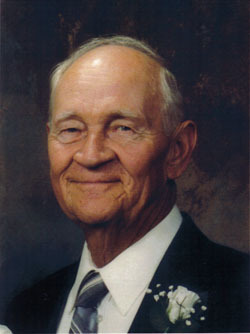 Obituary* Feb 2008� Funeral services were held Feb. 8, 2008 for Floyd E. Culpepper, 85, of Macon. He died Feb. 5 at his residence. Mr. Culpepper, a retired farmer, was a native of Lauderdale, MS., but grew up in Winston County. He attended Ellison Ridge High School. He served in the U.S. Navy for three and a half years during World War II. He received an honorable discharge as a 2"d Class Petty Officer and Torpedoman, having served in the South Pacific. He settled in Macon in 1956. He was a 50-year member of Concord Baptist Church. Mr. Culpepper was preceded in death by his parents, Joseph Floyd and Ora Wedgworth Culpepper; a daughter, Robin Robbins; and seven brothers and sisters. He is survived by his wife Betty Davis Culpepper of Macon; three daughters, Judy Culpepper of Huntsville, Al., Sharon Robold of Tupelo, and Becky Syfrett of Macon; six grandchildren and two great grandchildren. Cecil Culpepper, Roomer, M, Wh, 16, Sng, MS/MS/MS. 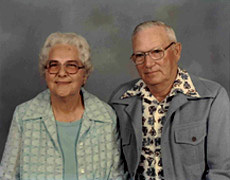 Obituary* 8 Apr 2008� Helon T. Culpepper, 95, formerly of Long Beach, MS, passed away on Sunday April 6, 2008 in Greenville, MS. Mrs. Culpepper was a longtime resident of Long Beach, MS, until August, 2005. She was a member of First Baptist Church, Gulfport, and later of First Baptist Church, Long Beach. Mrs. Culpepper was preceded in death by her husband, Cecil W. Culpepper, Sr; a sister, Marge T. Hoskins, and her parents, Oda and J.G. Taylor, Sr.
She is survived by her daughter, Elizabeth Huggins, of Nicholasville, KY; son, Cecil W. Culpepper, Jr., of Inverness, MS; brother, J. Grover Taylor, Jr. of Starkville, MS; grandchildren, Beth C. Keating, of Tallahassee, FL, Ryan D. Culpepper of Tallahassee, FL, John H. Huggins, of White Plains, MD and Daniel A. Huggins of Nicholasville, KY; great-grandchildren, Casey Keating and Paige Keating both of Tallahassee, FL; nieces Penny H. Wildman of Lexington, KY and Judy T. Norwood of Greenville, MS and nephew John G. Taylor, III of Southlake, TX. Benjamin F. McKenzie, Laborer, M, Black, 18, sng, MS/MS/MS, Laborer, Farm Laborer. Photographed* Apr 1978� He was photographed in Apr 1978 at Lauderdale Co., Mississippi, at age 70. Raymond O. Culpepper, Son, M, Wh, 7/12, MS/MS/MS. Photographed* 1930� She was photographed in 1930 at Lauderdale Co., Mississippi. Photographed* Apr 1978� She was photographed in Apr 1978 at Lauderdale Co., Mississippi, at age 69. Obituary* 21 Aug 2004� Services for Lorene H. Culpepper will be held Sunday at 2 p.m. at Pine Grove Church in the Martin Community with the Revs. Kim Culpepper, Bryan Culpepper and Kenny Pogue officiating. Burial will be in Pine Grove Cemetery with Barham Funeral Home in charge of arrangements. Mrs. Culpepper, 95, of Collinsville, died Friday, Aug. 20, 2004, at Jeff Anderson Regional Medical Center. She was a lifelong member of Pine Grove Church. She was affectionately known as 'Big Momma'. She loved her church, family and friends. Throughout her life so many were touched by her generosity and love. Survivors include her daughter, Willie Mae Hodges; sons, Raymond Culpepper and his wife, Laverne, Landis Culpepper and his wife, Billie, Rusty Culpepper and his wife, Mackie, Arnold Culpepper and his wife, Carolyn, and Mike Culpepper and his wife, Dianne, all of Collinsville; 18 grandchildren; 35 great-grandchildren; 14 great-great-grandchildren; a brother, Buddy Herrington of Oneonta, Ala; sisters, Earline Hodges, Edna Earl Hatcher and Lonese Ethridge, all of Collinsville; and several nieces and nephews. She was preceded in death by her husband, Obbie Culpepper. Obituary for Lorene H. Culpepper, 21 Aug 2004. Gaddis E. Culpepper, Son, M, Wh, 1, S, MS/MS/MS. Lizzie L. Culpepper, Daughter, F, Wh, 2 1/12, sng, AL/MS/MS. Eureka Baptist Church Cemetery, Choctaw Co., Alabama. + Simmie Lee Culpepper, Jr., Feb. 28, 1922 - Dec. 17, 1970.